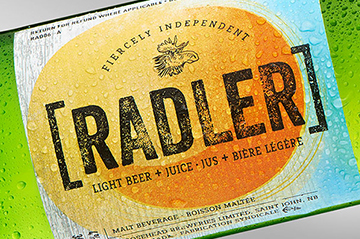 Shikatani Lacroix Design created a fresh, new take on Moosehead's ongoing Alpine Lager Camo campaign. 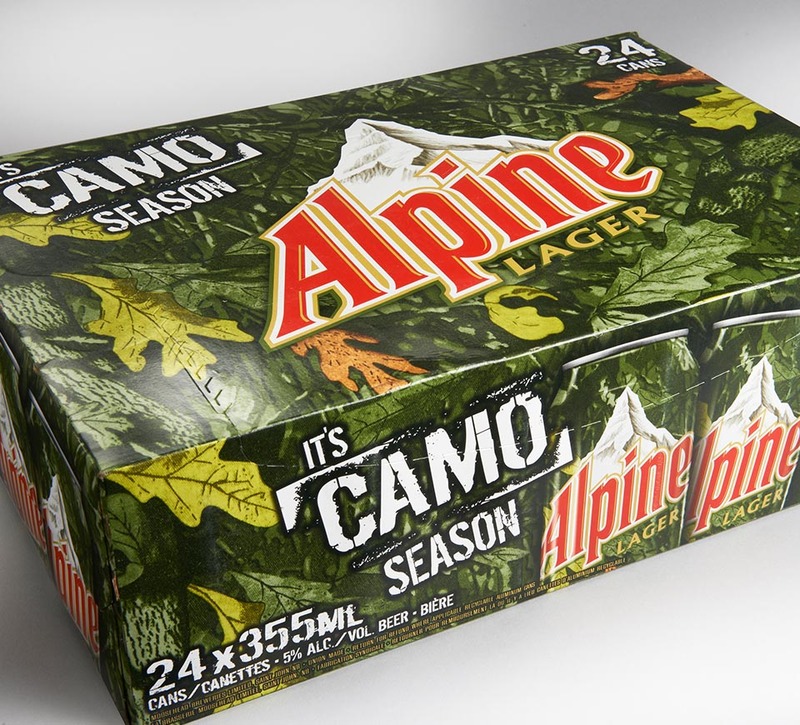 Following the success of the 2014 “camo” design, Moosehead Breweries asked Shikatani Lacroix Design again to develop the packaging design for Alpine Lager’s 2015 camo campaign. This year’s theme built on prior camouflage campaigns that related to hunting, fishing, snowmobiling and other outdoor activities. 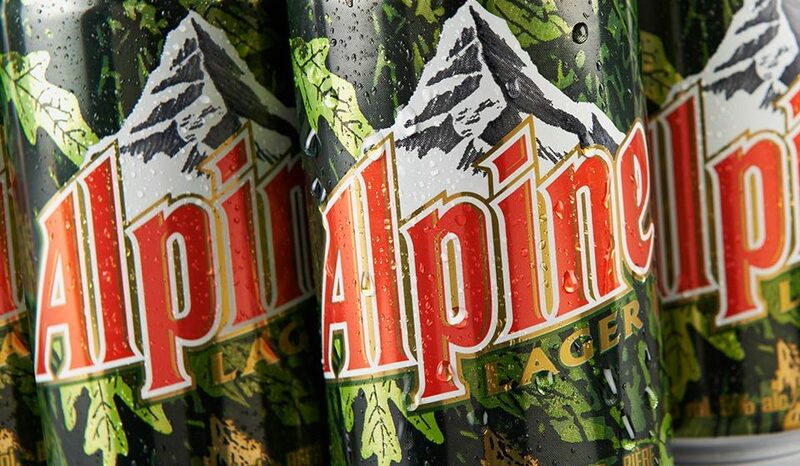 Alpine Lager’s promotional initiatives work to share and celebrate its consumers’ lifestyle. 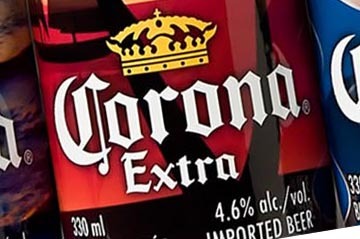 SLD was tasked with progressing the camo campaign forward with new packaging, posters, billboards, and other POS designs, to continue to build a stronger connection between the brand and its consumers. 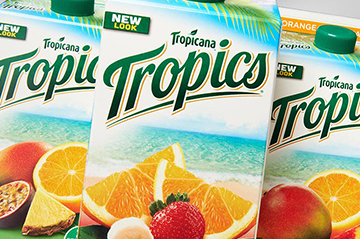 Alpine wanted the packaging to feel like an evolution from, not reinvention of, the original designs so that its consumers expect and engage with the campaign each year. 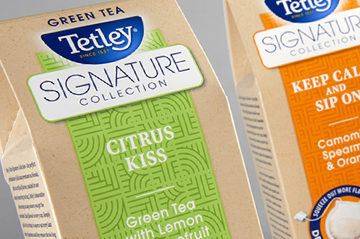 The design team leveraged what it learned from the outcomes of the 2014 campaign to deliver a fresh and vibrant new design that remained consistent with the brand’s look and feel. 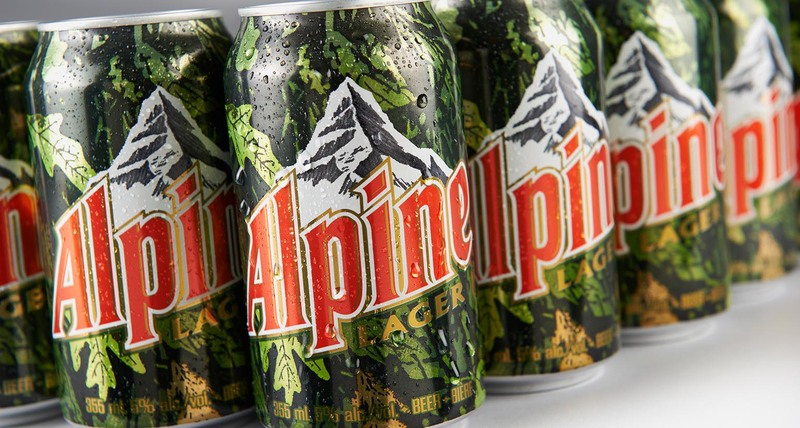 Building on the emotive factors from previous packaging campaigns, the new designs had to engage and appeal to Alpine’s outdoorsy male-skewed target market. 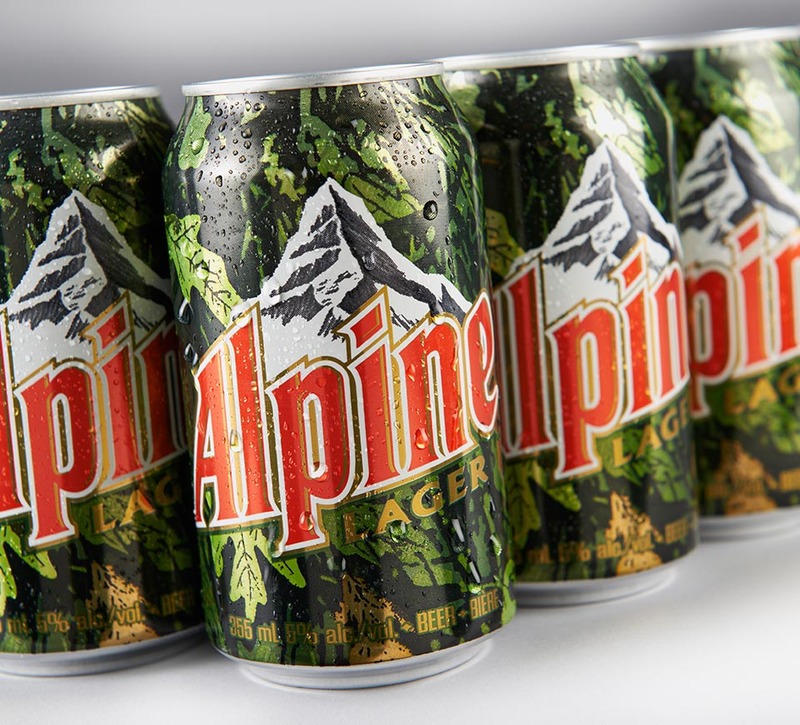 After experimenting with different aspects of camouflage season, Shikatani Lacroix Design developed a more natural looking pattern, differentiating the cans from prior packaging campaigns to create a fresh and exciting new look for Alpine Lager consumers. 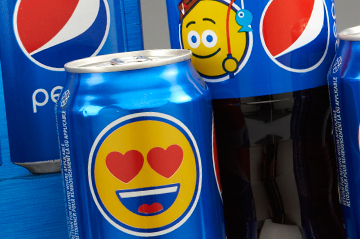 SLD enhanced the standard cans with a vivid design that appeals to those with a thirst for outdoor pursuits. 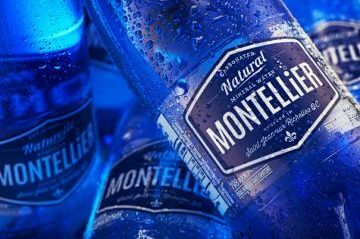 The new packaging design work tied effectively to its social media marketing campaign that ran through the months of September and October. In addition to the packaging, SLD designed a larger banner to display during the campaign’s promotional events. 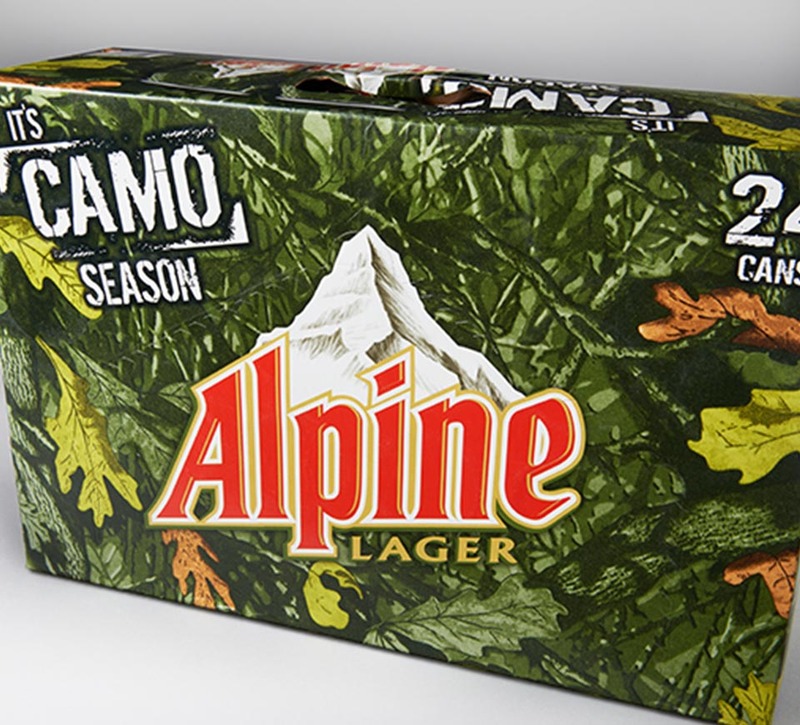 In the end, Alpine Lager’s 2015 camo campaign was met with great success as the design work connected with its target consumers’ lifestyle and helped garner increased interest in the brand.